Located in Tremezzo, just south of Griante on the same side of the lake, the Grand Hotel Tremezzo is one of Lake Como's most luxurious hotels. The views from many rooms across central Lake Como are unequalled anywhere. Visit their beautiful web site with stunning photography. 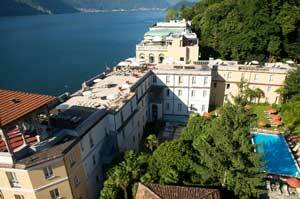 The Grand Hotel Cadenabbia dates back to 1820. 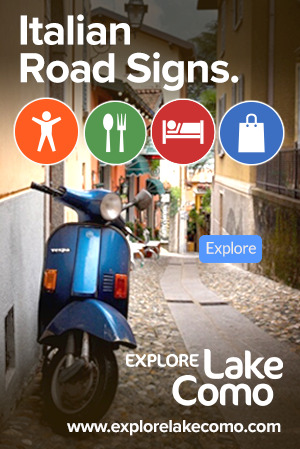 It is situated close to Villa Carlotta and has beautiful views of Lake Como. It has a spectacular roof top terrace. Even if you don't plan to stay here, you should visit the terrace. 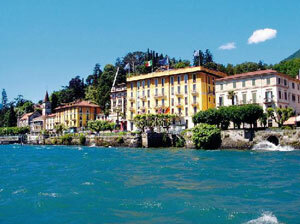 This hotel is located close to the ferry docks which makes it convenient for jaunts to Bellaggio and Varenna. 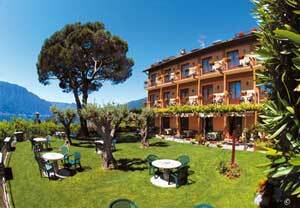 This small but very well kept hotel is located in Rogaro, just above Tremezzo. Its elevated position provides guests with spectacular views of Lake Como. The restaurant is also very good.